Andrea Mayoral de la Pascua studied abroad in San Sebastián, Spain in summer 2018. 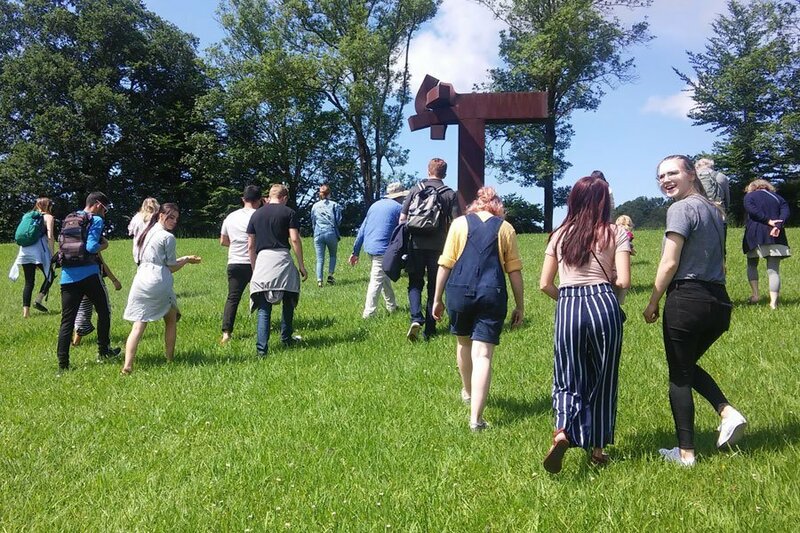 During her study abroad, USAC visited Chillida Leku which is an outdoor and indoor museum dedicated to the sculptures of Eduardo Chillida (1924-2002, San Sebastián). 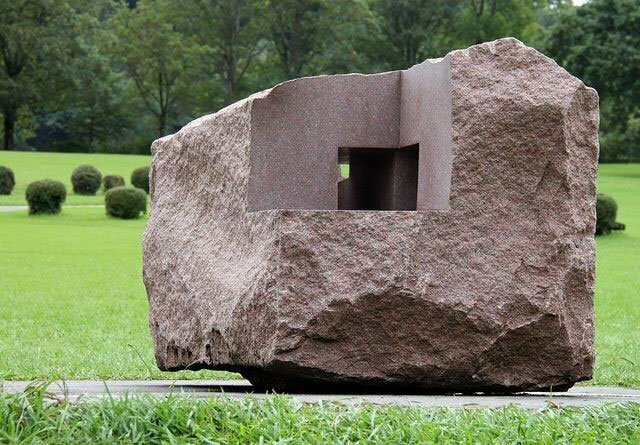 Chillida’s smaller sculptures are in museums all over the world and his major public works can be found in Barcelona, Berlin, Paris, Frankfurt and Dallas. The concept of space is central to Chillida’s work. 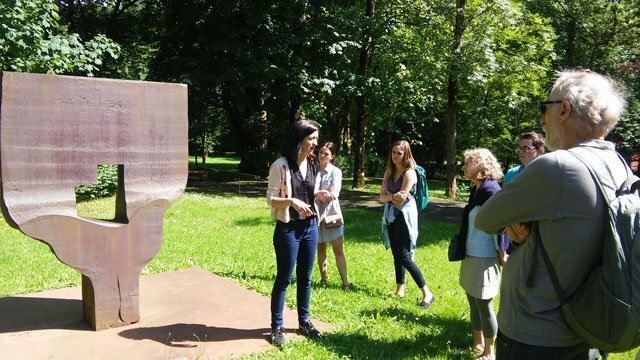 Andrea was inspired to write the following description of the visit to Chillida’s museum, drawing some parallels between Chillida’s philosophy and her study abroad experience. 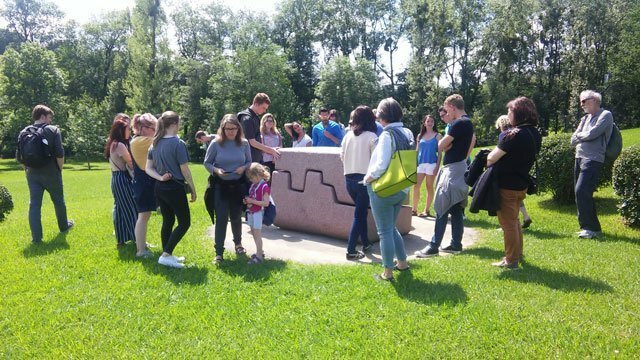 “Chillida did not like making replicas of his sculptures because he was not making anything new or challenging, and easy is not art,” explained Chillida’s grandson as we stood in the sanctuary that is Chillida Leku. At that moment, I thought back to a year ago, when my biggest aspiration was to study abroad in the Basque Country, and yet nothing in the world scared me more. I was terrified that, upon arriving, it would be completely different from what I had imagined it to be; and it was. The superficial image that I had constructed of the Basque country paled in comparison to the epic reality. I found myself in a place filled with nature, culture and artists. 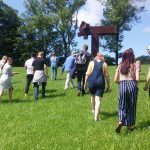 During my time in Chillida Leku, I knew that I was experiencing something unique that not even people from the Basque country would typically get to experience. 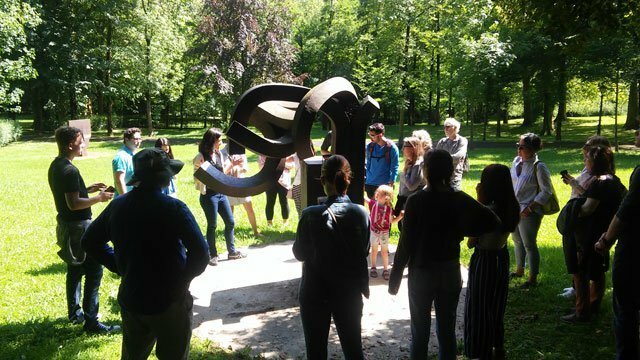 The way in which the sculptures fused with the nature surrounding them and the profound messages that each piece carried, depicted Chillida’s vision of the world and his deep roots to it. The reconstructed farm house heightened the Basque essence of his mystical work place. It impossible to visit Chillida Leku and not appreciate the brilliance and harmony in which it exists. Chillida’s philosophy of authenticity and human growth provided the words I needed to describe my journey here. While I was in the Basque Country, I had to face more hard situations than I can count. Challenging my fear, my anxiety, has allowed me to have the best experiences of my life and to become the best version of myself. While I might not be able to know or say how profound the air is, I do know that challenging yourself is not just part of art but necessary for growth. Your surroundings and the people in them have priceless lessons for you to learn but you must open your eyes, ears and mind to gain it. For me, being here has not only changed my life, but it has awakened me to actually living it.